Prior to that my drinking included the usual high school and college nonsense. I acquired a taste for Old Crow and would go on about how each batch was different and it really varied from bottle to bottle. 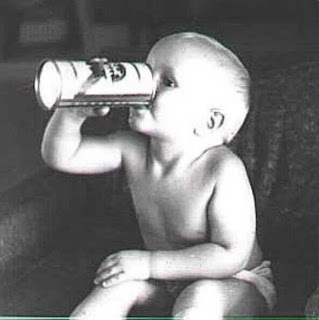 I loved (and still do) Pabst Blue Ribbon, the hipster champion that actually packs a healthy 5% ABV punch. And I’d occasionally experience cocktails in the company of my ex-bartender parents who appreciated the classics. But it was that dorm closet bar that gave me the first twinges of pride about drink. That made me invest in quality and making sure “it was done right.” And from there a love grew. We left Portland and moved to Marin in 2007; to San Francisco in 2010. 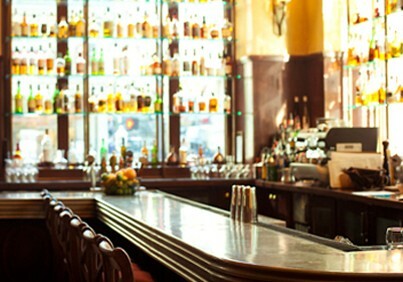 As we all know, SF is one of the great breeding grounds of the mixology movement, and I still remember (albeit hazily) my first excursions to mainstays like Bourbon and Branch, Smuggler’s Cove, 15 Romolo, and the now-defunct Mr. Lew’s Win Win & Sazerac Emporium (ed. note: this location has been renovated into Tradition, an amazing bar in its own right, but the magic of the old Mr. Lew’s will never be forgotten). 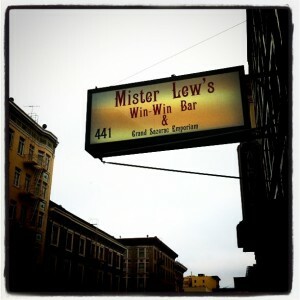 Mr. Lew’s is where I learned what a truly good Sazerac should taste like. Recreating that formula—using the traditional method with two old fashioned glasses—is probably what really set the fire under me. From there I explored other classics like the Negroni, well-balanced Margaritas, the Side Car, Old Fashioned, Mai Tai. As I became more familiar with the basics, I started ordering drinks with ingredients I didn’t recognize to see how they tasted. And I started reading about cocktails, learning techniques and history. And eventually I started experimenting with formulas of my own. Throughout all this I’d been happily working in advertising—an industry that does not shy from a good drink—bartending at events and parties when I could. Something about being the person behind the bar, the one giving out the drinks rather than just drinking them, always felt right to me. It was really only a matter of time, but I finally got up the courage (and just enough of the crazy) to quit my job with no real prospects and pursue bartending as a full-time thing rather than just a passion project. The Gods must like me because a scant six weeks later I found myself working behind the stick at Grand Cafe, an established institution with an emphasis on mixology, in the Hotel Monaco. It couldn’t be a better fit for me as someone who wants to explore and share marvelous liquid flavors with the world. So for now, dear reader, that is where you can find me—with vest and tie—ready to serve up something amazing. Pabst baby photo courtesy of don sees the world. Mr. Lew’s photo courtesy of luckyfish, flickr. Grand Cafe photo courtesy of Grand Cafe.